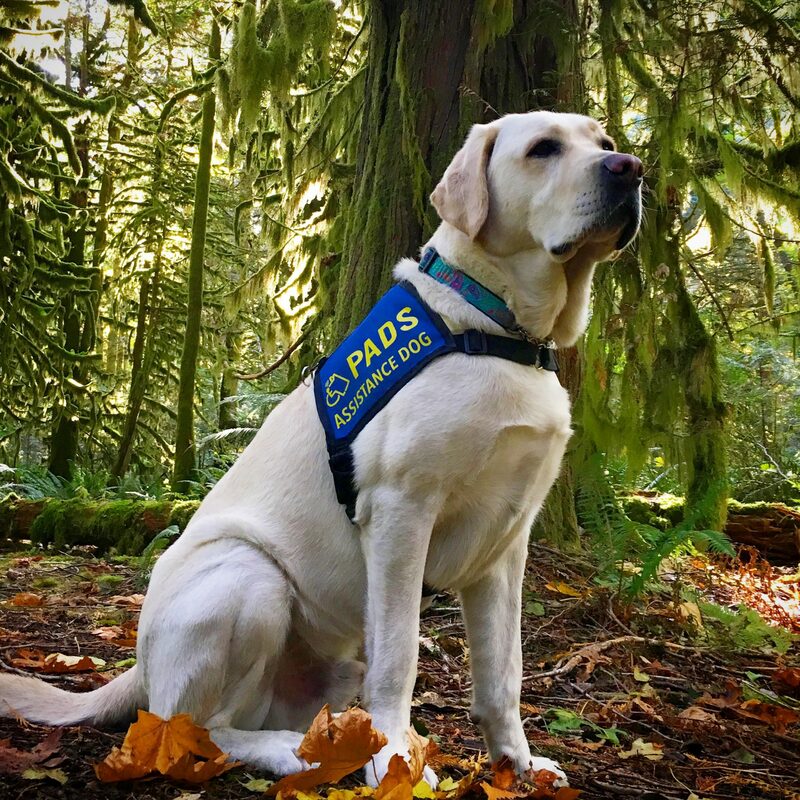 PADS is excited to soon be launching our first new program in 8 years: Dogs for Veterans and First Responders with Post Traumatic Stress Disorder (PTSD).The initial seed money for the program came through a grant from the Alberta Government to support the Veterans and First Responders in their communities. We are actively fundraising to help launch the program, and are looking for corporate donors and community groups to help cover the team sponsorships to get dogs into the hands of waiting clients. We have a few dogs currently identified in advanced training that show promise for this type of work. And our trainers are brushing up their skills in preparation for our program launch. These dogs are very different temperament than our service, hearing dog, and accredited facility dogs and will provide placement options for wonderful dogs that would otherwise be unutilized, and will not take away placements from our other programs. PTSD Dogs are trained to help with PTSD related challenges. The companionship and natural benefits of a dog’s presence (lowering cortisol, increasing serotonin production) helps mitigate panic-attacks, agoraphobia, flashbacks, and “gray outs” (where those with PTSD lose track of where they are or what they were doing). The estimated rate of veteran suicide in North America is 22 veterans per day, some studies have shown that PTSD dogs are expected to reduce suicide risk by over 50%. Think a PTSD Dog would benefit you or someone you know? Please follow PADS on Facebook for an announcement when our program launches. We are not taking email or phone inquries regarding applications at this time.